What Is Mortgage Fraud And How To Avoid Mortgage Fraud? Mortgage fraud seems like such a strong term. It applies to professional white collar criminals. But that is not always the case. A hard working home buyer with no criminal record or even a parking ticket can commit mortgage fraud without them realizing that they are committing mortgage fraud. How To Avoid Mortgage Fraud is important for both borrowers and mortgage professionals. The law enforcement agency that enforces mortgage fraud is not the local police station or small town sheriff. Those in a mortgage transaction need to pay attention to How To Avoid Mortgage Fraud during the mortgage process. What was common yesterday is no longer accepted today. The 2008 Real Estate and Mortgage Meltdown cost trillions of dollars. The entire mortgage and real estate industries went through a major overhaul due to the Real Estate and Credit Meltdown. Tens of thousands of folks got arrested, indicted, and sentenced to federal prison for committing mortgage fraud. Unfortunately, the practice of mortgage fraud still exists today. Many do not realize how serious mortgage fraud is and have no intention on how to avoid mortgage fraud during real estate transactions. 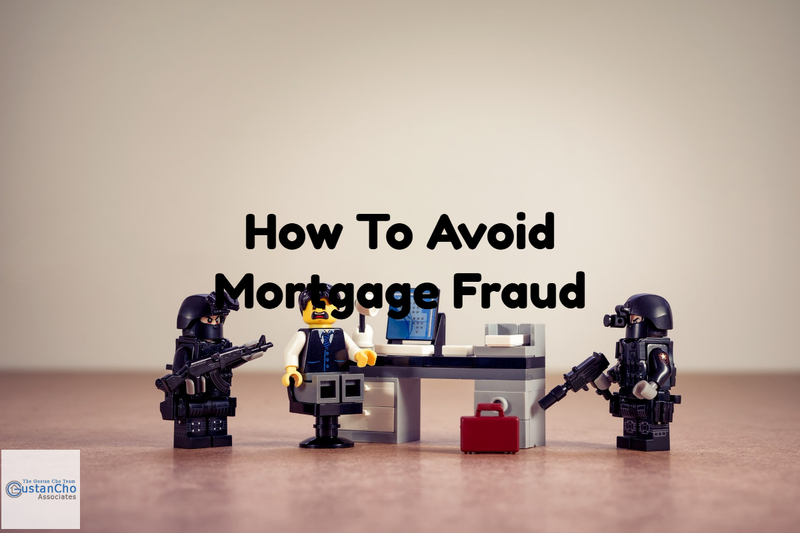 Lying on a mortgage application or providing misleading information in order to deceive an underwriter’s decision in approving a mortgage loan in order to get a mortgage loan approval is not a way on how to avoid mortgage fraud. The above acts is a classic example committing mortgage fraud. Mortgage Fraud is a felony punishable up to 30 years in federal prison. Mortgage fraud is define by the Federal Bureau of Investigation Mortgage Fraud Task Force as ” any material misstatement, misrepresentation, or omission relied upon by an underwriter or lender to fund, purchase, or issue a loan.” This statement is in black and white. The reason most borrowers are tempted to lie is to make their applications look as vanilla as possible and show the underwriter that they are a good credit risk. Lenders understand that borrowers could have had extenuating circumstances before. They take all the negatives into account when underwriting borrowers credit and income profile. What was common practice before is no longer allowed now. Borrowers should always be concerned about how to avoid mortgage fraud during the mortgage application and approval process. Examples of occupancy fraud include when a non-owner occupant states that they will be an owner occupant. Another way on how to avoid mortgage fraud is not accepting kickbacks. Kickbacks that are not disclosed is another example of mortgage fraud. Another case scenario for kickbacks is when the seller agrees to inflate the purchase price hoping for the appraisal to come in at a higher value than the actual purchase price. An undisclosed second mortgage on a home purchase is another form of mortgage fraud. If the mortgage loan borrower receives gift funds and signs a sworn statement that the down payment is a 100% gift from a family member. It cannot be paid back. But in actuality, if the gift funds is a loan and a separate loan agreement is adhered to, whether oral or written, and the home seller agrees to give back the gift funds back to the donor with interest, this is another form of mortgage fraud. All parties here, from the donor, buyer, seller, have committed mortgage fraud. If the loan officer was aware of this, then the loan officer is guilty as well.